I've been missing my sewing machine, it seems forever since I sat down to sew (if you want to see what I used to get up to, take a look at North Star Quilting). I really wanted to stock some needle storage solutions in the shop but I haven't been able to find anything that ticked all the boxes. It's a needle roll with space for traditional straight pins at the back and smaller pockets at the front for DPNs, crochet hooks, interchangeable tips and anything else you want to fit in (I might stick some polos or other treats in a couple of my spaces!). 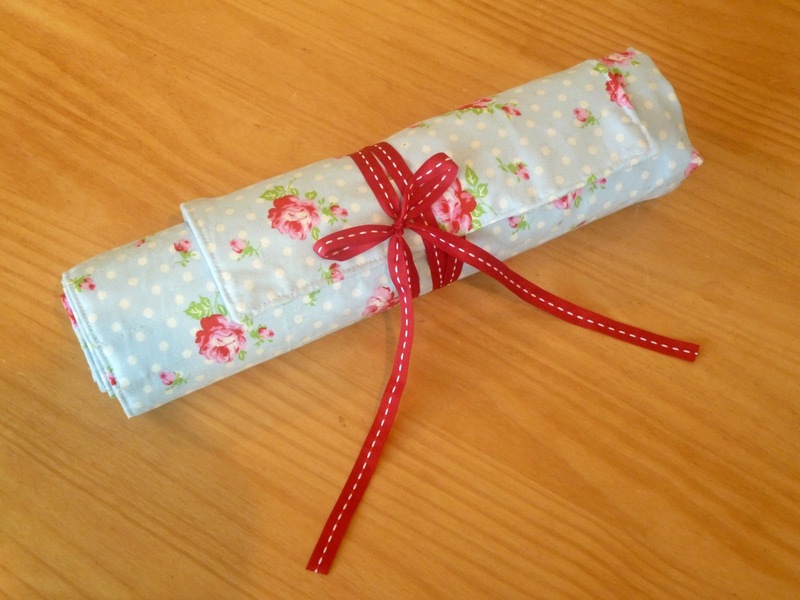 The inner fabric is an 100% Cotton Duck to stop your needles poking through and the floral and red spotty fabrics are quilting cotton. One of the requests from the ladies at knitting was a zip pocket. Everybody seems to collect an assortment of stitch markers, needle stoppers, tape measures and other accessories so the pocket on the right is perfect for keeping them all in the same place. 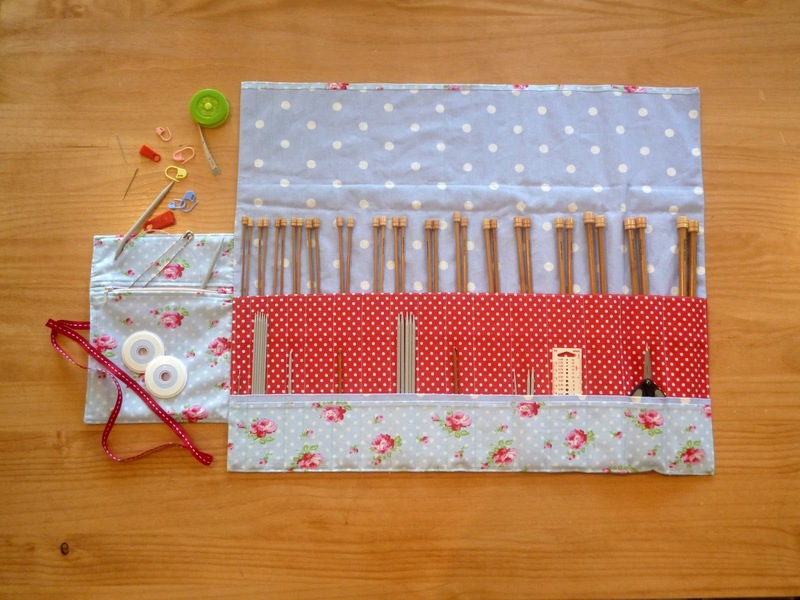 It's also a good size for the cables from your interchangeable sets or circular needles. Once the flap's flipped over and the whole thing is rolled up and tied in a pretty bow it is just the cutest thing. I am so happy with mine so I'm going to whip some up for the shop. 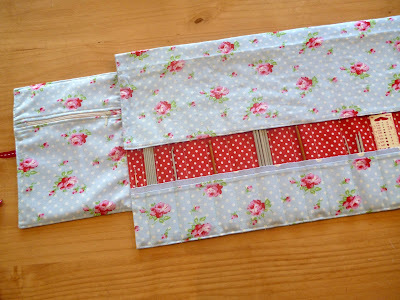 I think I'll just add one more feature - a little felt needle holder, tucked in between the main needle slots and the zippy pocket. I'm forever losing my sewing up needles. Maybe this will keep them safe. What do you think? Are there any other features you've been searching for in a needle roll? I was badly injured by the needle work while doing some sewing . I just love to sew whenever get some free time. Thanks for sharing such great piece of info. I also do photography work apart from sewing. Thanks for the info. Every field require precautions be it Photography!